You may have heard of many ‘get fit quick’ tips on the net . Letting go of these fitness misconceptions can help you get better, faster, and stronger. No, you cannot turn fats into muscles. There is no any physiology way of turning fat tissues into muscles. Fats and muscles are two different tissues. You can reduce fats by increasing your resting metabolism. It seems like showing up with an empty stomach to the gym is not that bad of a thing after all. In fact, your body will burn more fat when you hit the gym before eating anything. Rate of burning stored-fat from an empty stomach is higher than a stomach filled with heavy-carb breakfast. Stretching will loosen your tendons and makes your muscles feel weaker. A pre-workout stretch actually messes up your workout. However, dynamic warm-ups are advisable instead. Some dynamic stretches include leg swings or arm swings. You are breaking down muscles fibres when you are working out, so that it can rebuild stronger. However, you need to give your body time to recover from working out. Rest should be part of your work out instead of an alternative to your work out. Allowing your muscles to rest creates an efficient schedule. You can work out in less than 20 minutes by utilising high-intensity interval training. High-intensity interval training creates an afterburn effect that will continue burning calories after you’re done working out. During work out, the humidity in the air also plays an important role. You tend to sweat way more when it’s humid because those sweats are unable to evaporate. Be careful when working out in a hot, humid climates or environment as your body temperature rises when doing so. 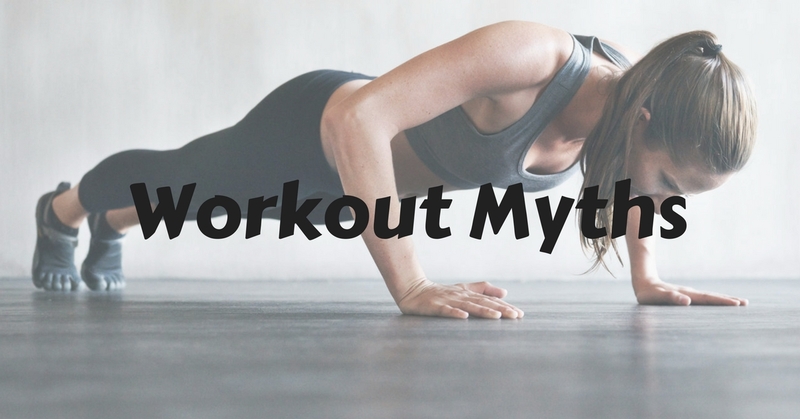 What are some other workout myths you have heard of? Let us know down below!